The Killers released their new album today and, from what I'm hearing on iTunes, it's pretty decent. It's about time they released All the Pretty Faces, I managed to get my hands on a live version they tested out a few years ago and it was great. The album version is clearly synthesised, but it's still a good song nonetheless. 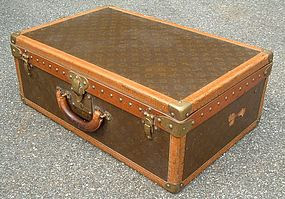 Hmmm, perhaps I'll pick one up for Buggy and surprise him while we're in London. Speaking of London, I packed today and boy did I overpack! I know, we're only going for 4 days, but I have no idea what to expect weather wise and so I needed to bring lots of layers and lots of options. Specifically, I need at least two skirts and three tops to choose from for Shabbos wear. Lord knows what my waistline will look like after 2 days of eating out in the Queens Country, so I needed to bring skirts of different sizes. One thing I didn't do was overdo it on the shoes. Buggy warned me not to bring too much, and so I'm just bringing a pair of walking boots and a pair of sneakers. I'm hopeful that we'll get a nice pair of black platforms/pumps on Friday so that I have something to wear over the weekend. If not, my black ankle boots will just have to do. I have no idea where the day went though, it's already 3:30 and I'm still in PJ's. As usual, I was up with my husband at 6:45 a.m. and made sure he got out the door with both breakfast and lunch securely packed away in his knapsac. I tried going back to sleep 45 minutes later, but couldn't, and right as I was about to drift off the doorbell rang and it was Mei Eden with my water for the month. So, I threw on a sweatshirt and let him in, which was good because it's heavy trying to schlep those canisters! Once he left, I decided to try to go back to sleep and this time, I was successful. Until my friend Tamara called and woke me up, which got me out of bed around 10:30. And that's when I got things into gear, pulling things out of our closet and stacking them on the couch for packing, doing a load of sheet laundry so it's all clean when we get back next week, pitching a potential new client with a business idea, etc. I just finished putting away our dishes from dinner last night, which I like to leave drip dry if I can, and now I'm ready to get back in for another nap. Fortunately, I have plenty to do which will keep me away from some much needed slumber. Buggy and I are going to the Kelim Mikvah tonight in Katamon so that we can toyvel some of the pots I bought at IKEA. We also have some glasses that need to be dipped too, and so I'm going to try to take off all the stickers from the house so we don't waste anytime trying to do that at the mikvah. Last time we went, there was a lot of people waiting on line and it's a tiny, little, hole in the ground so we really need to be efficient. I also have to go through my Time Out London book because, well, I think I know exactly what I want to see on Thursday but Buggy has no idea how to get there. I'm hoping I'll be able to figure out the tube map and plan an itinerary so we don't waste any time. I can't believe that I'm actually, finally, going to London. I represented the British Government for almost 4 years, and kept waiting for an all-expense paid trip across the pond, but it never happened. No matter, going with someone I love is going to be much, much better. 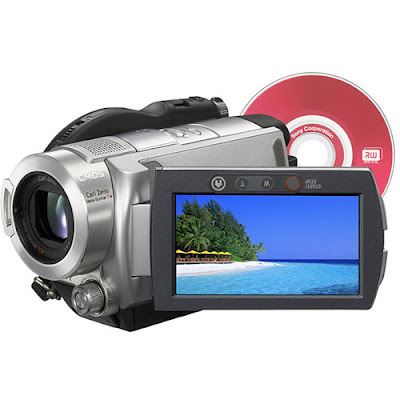 The SONY HDR-UX7E AVC HD DVD Handycam 'PAL' Camcorder, 3.2 Megapixel 1/2.9" CMOS, Carl Zeiss Lens, Optical Image Stabilizer, 3 Megapixel Still Images, 3.5" LCD Display. I would love to bring a camcorder with us to London, so we can take some great video. I am a big camera/video person and, since we only have my old Nikon Coolpix between us, think that a camcorder is the next step. Too bad I couldn't register for this type of thing when we were getting married! We're hoping to pick it up when we go through Duty Free at the airport, and let's pray that the price won't be as staggering as it is on websites or in stores. b'h...wher is the mikveh in katamon?